Audio Training Program: Are You Emotionally Smart? - Optimize Your EQ for Better Relationships and a More Fulfilling Life from Ready2Go Marketing Solutions, Inc.
Have you ever been at a complete loss for words when facing a difficult situation? Have you ever wished that you had some kind of compass or guide to tell you the right thing to do when navigating your life? Wouldn’t it be great to have a secret super-power that gives you the ability to always know the right thing to say, and the right move to make? Having a high emotional intelligence has many benefits. For starters, simply by being tuned into your emotions, you will have more control over your own happiness and well-being. But it also improves your ability to read, influence, connect with, and relate to others in your life. Emotionally intelligent people are good at picking up social cues. Emotionally intelligent people always seem to know the right thing to say. Emotionally intelligent people can quickly de-escalate high-stakes situations. So, what if you could do all that? 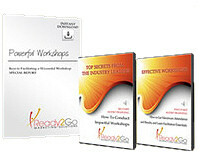 Through this Audio Training Program, your clients will be inspired to discover the depth of their emotions, and use the wisdom within them to carve their own satisfying, fulfilling path. The information contained in these short audio training sessions will open their hearts and minds to a new world of happiness, success and exciting possibilities, all by becoming more attuned to their emotions and the emotions of others. The audios are 5-7 minutes long and filled with ideas that will help your clients become more productive and successful. Audio Training programs are a powerful tool for keeping in touch with your clients and prospects, and delivering great value. Order the "Are You Emotionally Smart?" audio training program today!